Every parents absolute dread is to lose their child. Children on the spectrum can’t always verbalise their name, parent or carer’s name, their phone number, address so on and so forth. If Theo was asked what’s your Mummy or Daddy’s name was he’d simply say “Mummy n Daddy”, if they asked his phone number he’d probably count to 10. So on www.moo.com I created these little ID cards where you receive 50 free business cards for the delivery price of £3.25. These are the design that I made – If you think it would give you your peace of mind perhaps you could design some too? A quick introduction and how Theo may react! A list of instructions that will make things more comfortable for Theo and who to contact, with 50 cards being in the offer there’s plenty to share around everyone that cares for him! “We can cure your childs #Autism” – Oh really?! I’ve received email upon email, direct message upon direct message, letter upon letter from companies telling me that they know the definite cure to my sons Autism! Fantastic!! However don’t you think that if there was an absolute cure for ASD it would be wider known about, Doctors would be shouting about it from the rooftops and there would be a much smaller community of people who’re looking for support and advice? Don’t get me wrong, I’m not saying if you find something that might work to benefit your child don’t use it, or suggest it to others to try out. What I am saying is be careful that you’re not being exploited by a company that can promise the world but just offer you the advice that the specialists that your child is working with could give you for free. Not long ago on one of the community channels on Sky TV I came across a program that was giving out fantastic idea’s, tips and tricks to try with Theo, a lot of the episode that I watched fitted in with a lot of the things that Theo was needing support with at the time however they’d get to the end of the report and then stop talking about the suggestions – Their main suggestion was signing up to get the full information on the website – which was £30 per year. Eh ehhhhh – you can keep your website – I’ll just google search the answers after watching the show and source them else where – FOR NOTHING!! Check on forums for people who have used it before – get their thoughts and experiences! Search around online as many companies work under numerous names and different fee’s! Speak to your specialists – they may be able to help you without you having to put your hands in your pockets! If you do find something that works – share it! On forums, blog about it, post up reviews and link to them (there is far too many reviews on service providers websites that have been written by themselves!). Your input could help other people! 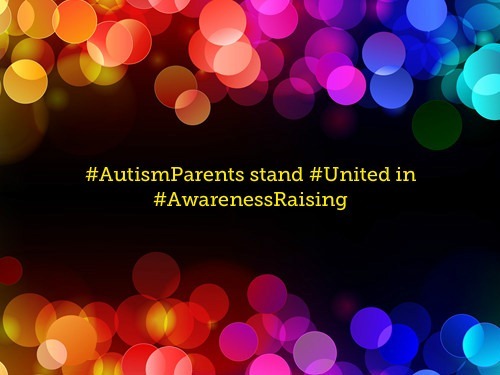 Today I was reading a blog by a wonderful woman I follow on Twitter AutismMumma http://bluecrisps.wordpress.com. She highlighted about how someone high up in the public eye, respected by millions of all ages, all over the world had found it suitable to show that it was justified to publicly discriminate anyone with Autism effecting their life via Twitter. I have to say after copious amounts of complaints he did apologise. However don’t people realise – as soon as that first line is posted – the millions of followers that they have also find it acceptable to discriminate against the same subject? These people in the public eye should be setting a better example to the younger and older generations that are keeping them as an Idol. I genuinely believe that the people that are so open to be able to write their uneducated thoughts – apologise – should then go on to openly educate themselves in the public eye to learn about what ever it is that they’ve discriminated about. It would certainly set a better example to their fans instead of just posting up an apology on Twitter that their fans may have missed. Discrimination is like a cycle that people follow generation to generation – that cycle can only be broken when people decide to stand up and break it – no matter what the subject is – race – religion – disability – ANYTHING!! People in the public eye – especially people with “Superstar” Status (and several million followers on twitter) should be actively empowering people to break the cycle how else can they get the “World Peace” status that they all proclaim to want? What do you think Mr 50cent? A little Autism Awareness in public may be the way forwards to help stamp out that discrimination!